It’s important to feed your four legged friend the correct quantity of food to keep them in just the right shape. 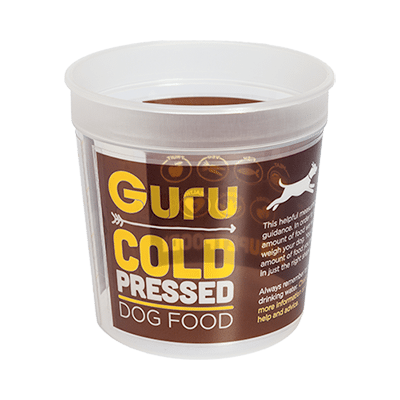 Use our practical measuring cup to help you with portion control when feeding our delicious cold pressed dog food. For even more information on how much you should be feeding your dog, take a look at our feeding guide. 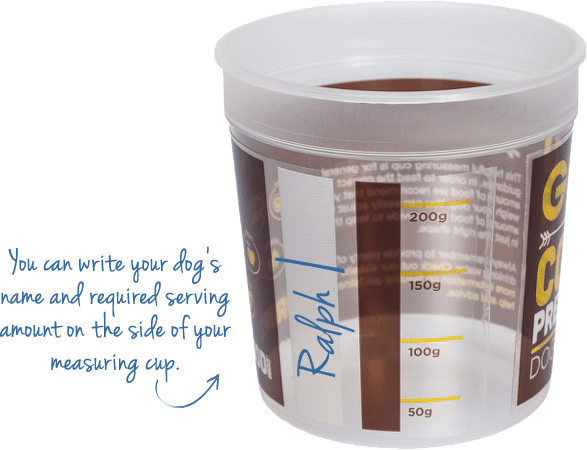 We know a happy and healthy dog is one that’s fed the right amount which is why our dog food measuring cup is an essential accessory for every owner. You’ve found the cup, but what about the food? Try our delicious cold pressed dog food and watch those tails wag! You can even personalise your cup by writing your dog’s name and serving amount on the side. Check out our food calculator located on the Feeding Guide page. Once you know how much you need to feed your dog/puppy use our measuring cup to avoid overfeeding.